A cancer researcher said she collected blood from 98 people. It was all her own. A researcher collected her own blood and forged the labels so it would appear to be samples from nearly 100 people, according to a new finding of research misconduct released today by the U.S. Office of Research Integrity (ORI). The former researcher at the University of Texas MD Anderson Cancer Center swapped her own blood samples for those taken from 98 human subjects. The misconduct affects two grant progress reports and two papers; one paper has already been retracted, and the former “research interviewer” — Maria Cristina Miron Elqutub — has agreed to correct or retract the other. This is an unfortunate situation. El-Naggar said he didn’t know many details of the investigation, but as the principal investigator on the affected grant (worth approximately $1.3 million), he has been informed. He said the institution had decided that “all publications related to this incident” should be withdrawn, but could not specify which ones. El-Naggar said researchers at the institution realized something was wrong when they used the same blood samples for another study, and found they did not produce the same result as the one Elqutub reported. 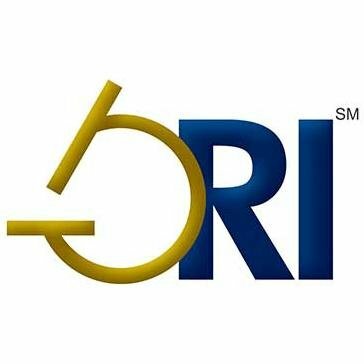 ORI found that Respondent engaged in research misconduct by recording dates and providing her own blood samples to cause these samples to be falsely labeled as samples from ninety-eight (98) study subjects in a cancer genetics study involving human blood samples. The University of Texas MD Anderson Cancer Center supports the findings of the Office of Research Integrity and has worked closely with the U.S. Department of Health and Human Services to reach a settlement. MD Anderson is committed to the highest standards of scientific integrity and works to uphold those standards through structured training programs and reporting mechanisms for institutional research conduct. According to El-Naggar, Elqutub worked in the lab of Erich Sturgis. When we contacted Sturgis’s office seeking comment, he referred us to a university spokesperson. …the authors discovered that, unbeknownst to them, the sampling had been compromised, resulting in duplicate samples involving 93 controls and 4 cases. Apparently, “duplicate samples” in the notice refers to Elqutub’s blood (which seems quite oblique). When we asked Sturgis for more details about the Cancer retraction after it first appeared, he also referred us to a university spokesperson. We were only just made aware of this issue and are evaluating it. We will follow up per our editorial processes to establish appropriate steps to correct the record. We hope to identify a way forward soon. For three years, Elqutub has agreed to have her research supervised, and — if she is employed by an institution that seeks federal funds — submit a certification that the data she provides are legitimate. For my standpoint, this issue has been resolved locally and with the funding agency. Just another slap on the wrists. Ludicrous. It took her at least six years from starting university education to get to the point where she faked data, potentially putting people’s lifes at risk, and more likely twice that. Now a three year control period should cure her? It is a wonder she had any blood left! This seems REALLY weird. 98 identical blood samples? Aren’t the results going to seem like everyone had the same blood, or something? What was she thinking? And wait… at first I thought she did this in order to not have to collect so many blood samples, but the story says the researched “swapped her own blood samples for those taken from 98 human subjects”. So there were already 98 samples of blood. What was the purpose of doing this? Br J Cancer. 2005 May 23;92(10):1899-905. The Akt inhibitor KP372-1 suppresses Akt activity and cell proliferation and induces apoptosis in thyroid cancer cells. M Mandal1, S Kim1, MN Younes1, SA Jasser1, AK El-Naggar2, GB Mills3 and JN Myers*,1 1Department of Head and Neck Surgery, The University of Texas MD Anderson Cancer Center, Houston, TX, USA; 2Department of Pathology, The University of Texas MD Anderson Cancer Center, Houston, TX, USA; 3Department of Molecular Therapeutics, The University of Texas MD Anderson Cancer Center, Houston, TX, USA. Next Next post: Survey says: A researcher wasn’t sure if he needed to correct a paper. So he created a poll.